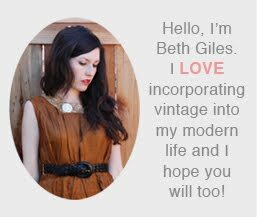 Vintage Clothing Blog | Vintage Wedding Dresses | Salvage Life: Guess what? Baby News! 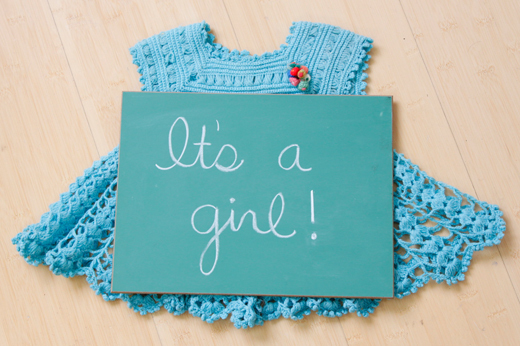 I haven't had a chance to share, but I've known for a little over a week now that we are having another little girl! I really wasn't expecting it, but I am pretty excited that I'll be able to see someone wearing all the cute little things that Ruby only wore for a couple months. Ruby is already head over heels for her sister and is always talking about how she is going to "hold her and tickle her so gently." I'm looking forward to having two future shopkeepers as well. I'm 22 weeks along and things are quickly being eliminated from my wardrobe. Luckily, it's getting warmer so dresses and skirts are appropriate most of the time. Don't expect to see a lot of photos of me in the months to come though, it's awkward enough to pose for the camera when my body isn't a strange shape, so pregnancy adds a whole other element. I've been feeling alright lately despite some back pain and fatigue and am trying to enjoy the time I have left before my life turns to utter chaos, haha! I find myself to be less anxious for the baby to come because I am aware of all the work that is ahead but it's going to be a happy day when we meet our little girl! Congratulations! 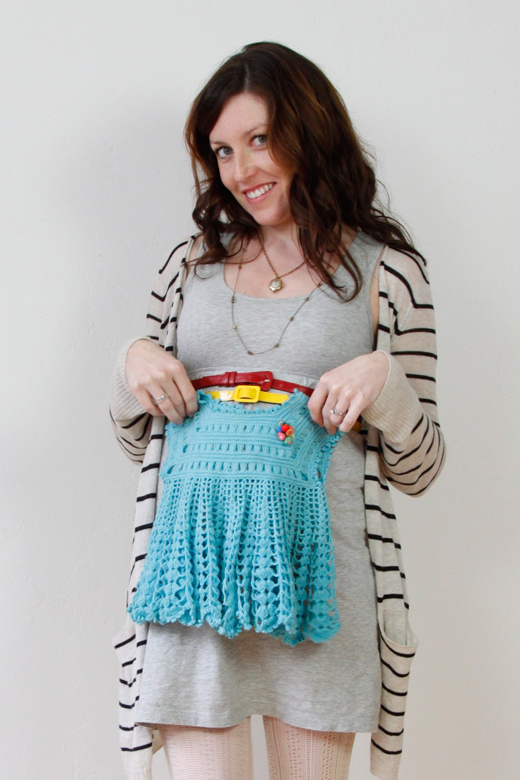 And what an adorable little blue dress. 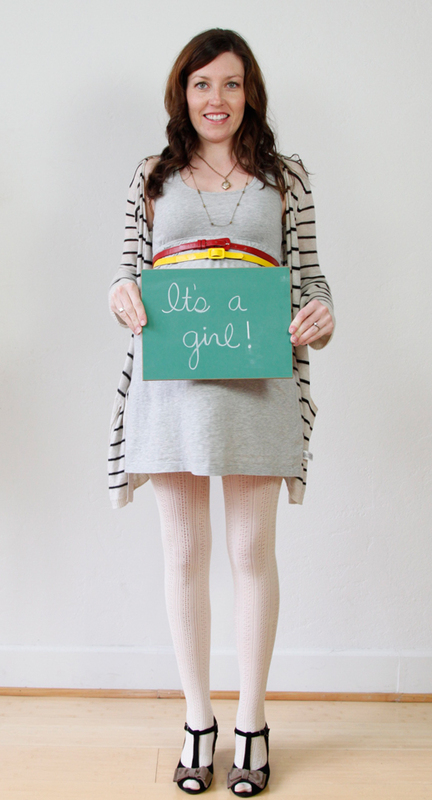 Wow there seem to be quite a few fellow vintage bloggers who are all pregnant and due around the same time, how odd! Congrats!Two sisters will be so sweet.